"O" What a Ride: A holiday party! 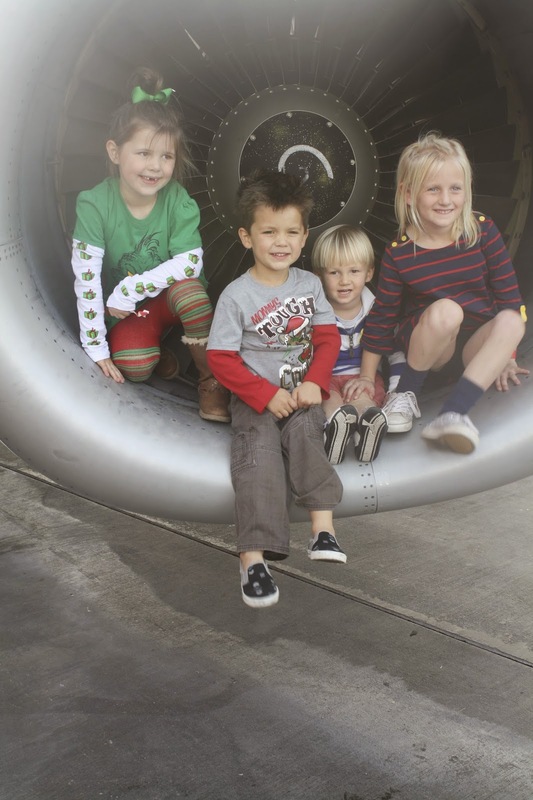 Our family friends, the Johnson's, work for Southwest Airlines (he is a pilot, she is a flight attendant). They ended up with four extra tickets to the company's holiday party, and we were the lucky recipients. 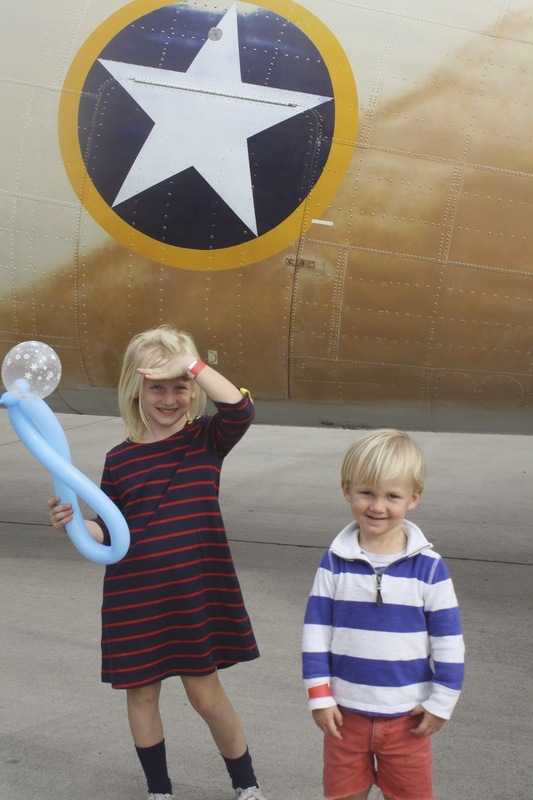 The event was held in a hanger at the end of Sky Harbor airport, and William's favorite part was watching the planes take off right over his head. ~A car show with lots of classic cars. 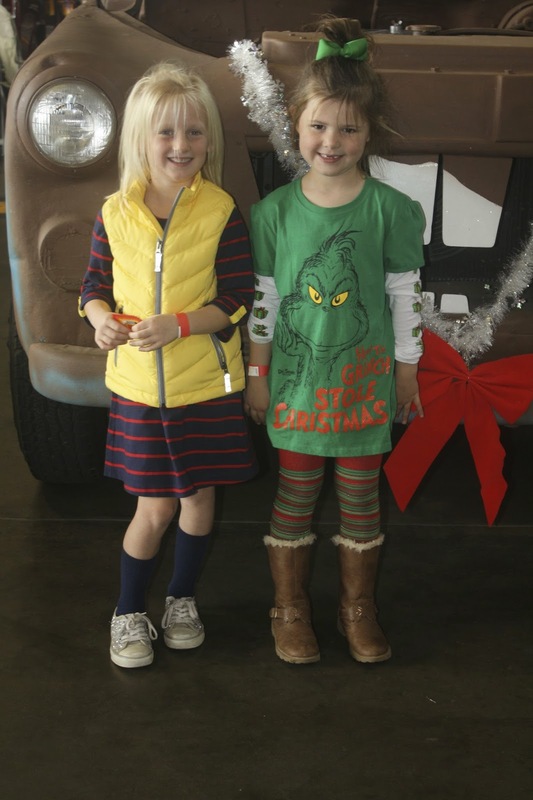 Lily and Emery's favorites were Tow-Mater and Lighting McQueen replicas. ~A petting zoo with lots and lots of goats. 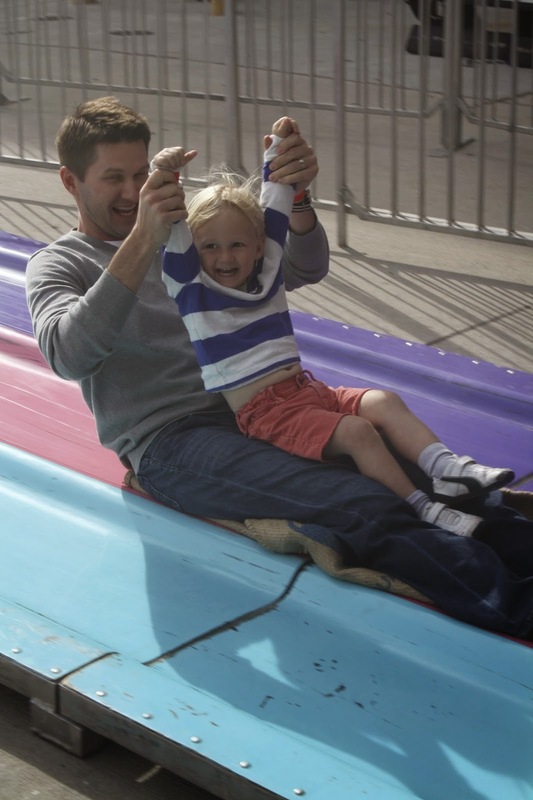 Also, pony rides, but William was too chicken to try and Lily was too busy riding the tilt-a-whirl with Daddy. ~Balloon animals. A princess sword and Olaf, the Snowman. I stood in line for 30 minutes for these darn things so made them immediately pose for a picture before they popped. ~Santa rode into the party on this plane for WWII. 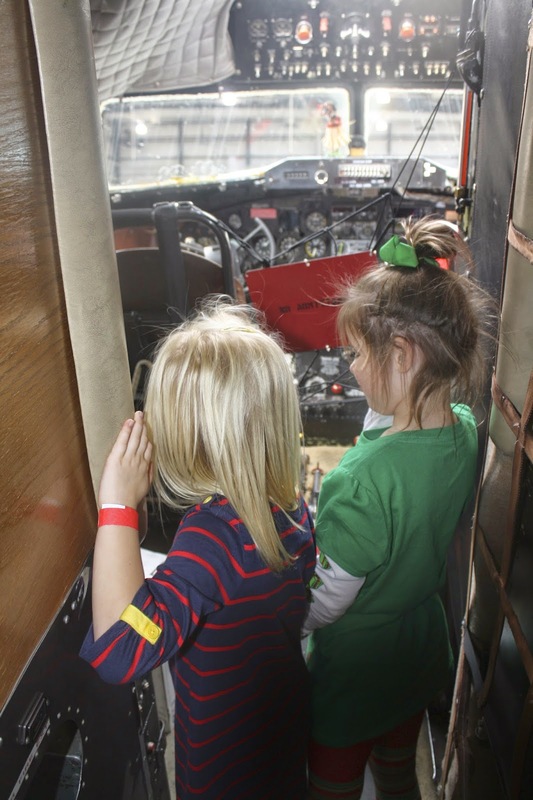 We were then able to explore the inside and hear a little bit about the history of the plane. It flew over 2000 combat hours during the war! 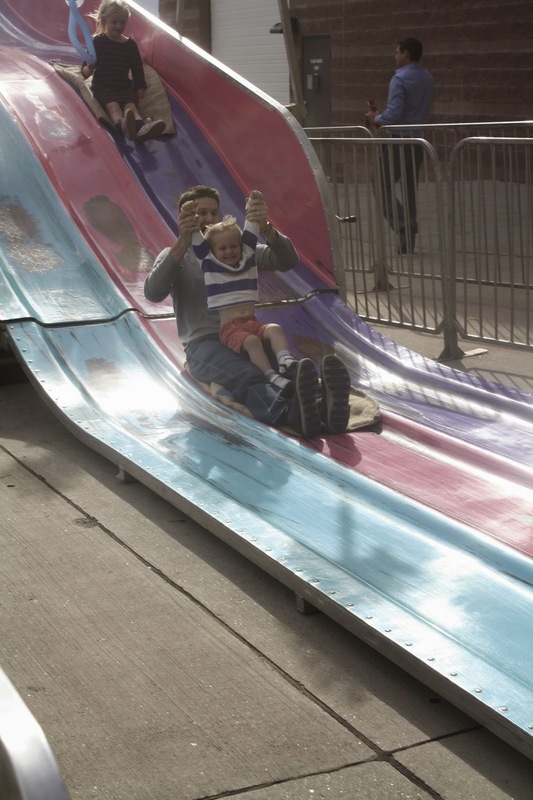 ~Lily, William, and Ryan had a blast on this slide. 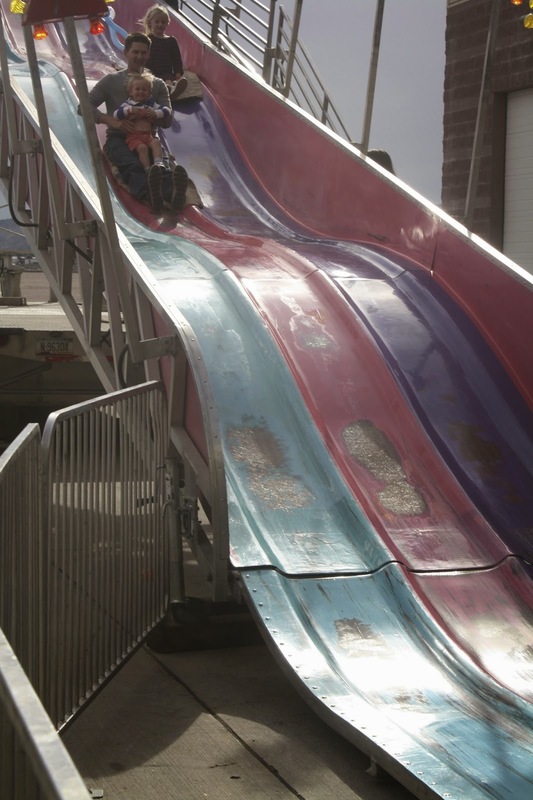 It reminded me a bit of the creepy slide from 'A Christmas Story' so I stayed on solid ground. 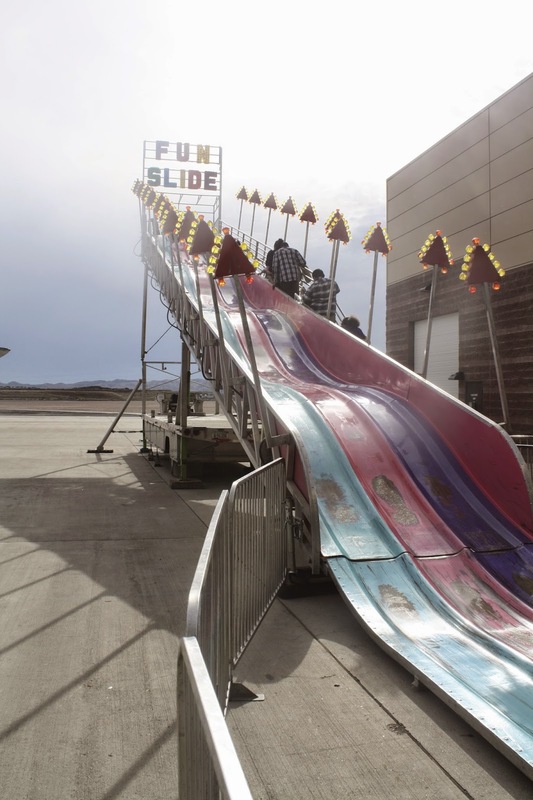 ~Free range to sprint down the runway. Heading toward the SW airplane for a photo inside one engine! But the highlight of the day…seeing the big guy up close and personal. Lily asked for a princess and glasses (?) and William, well, he just wants his mommy for Christmas. Fine with me! Such a fun filled day with great family friends! The party was a truly a child's dream and put us all in the holiday spirit. Oh my goodness, how fun! 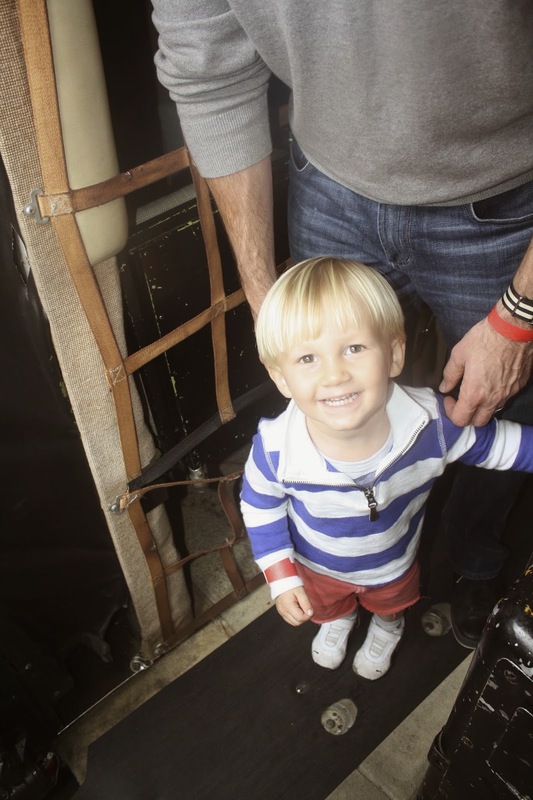 I especially love the picture of William looking up at you in the cockpit (I think).